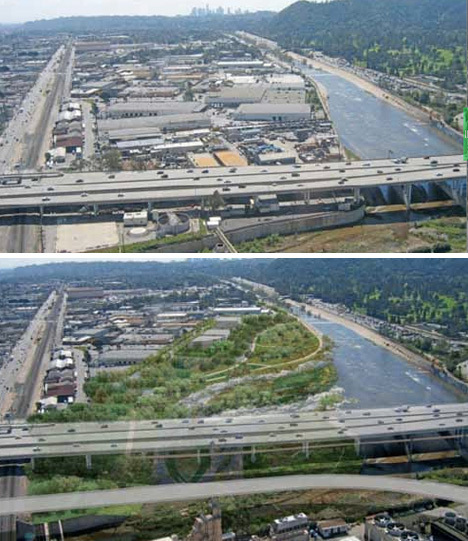 Currently a concrete wasteland along most of its urban length, the Los Angeles River is set to get a dramatic billion-dollar makeover with the backing of the Army Corps of Engineers. The Corps has revealed support for the most comprehensive plan, which transforms two segments of the river stretching 11 miles in length into green space for humans and natural habitats for wildlife. 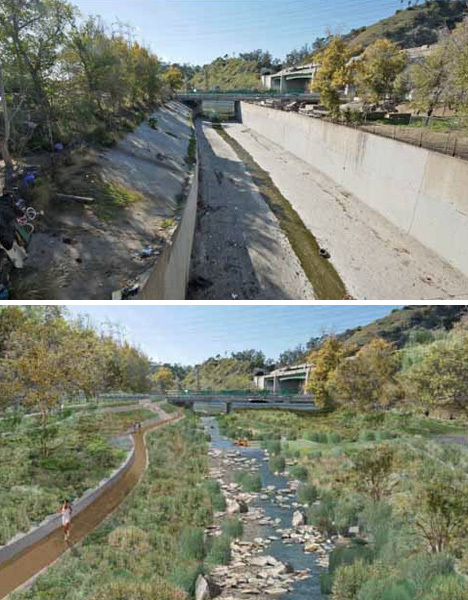 Curbed LA has interactive sliding before-and-after images of various parts of the river, showing what they look like now and how much they’ll change after the rehabilitation. 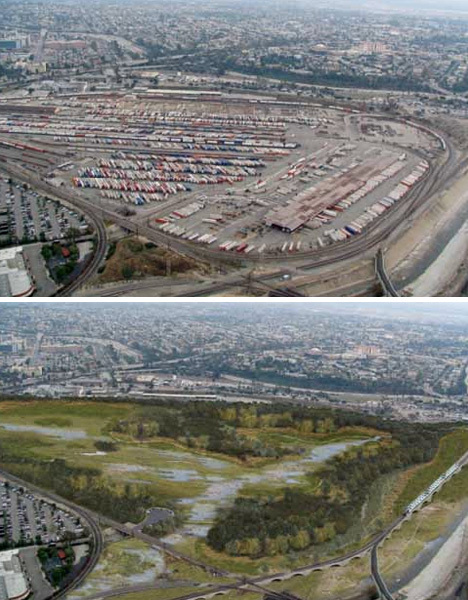 Among the planned changes are restoring wetlands that have been lost to urban expansion. 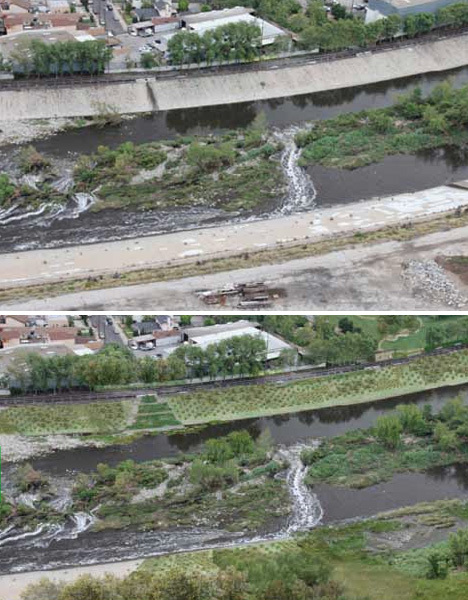 The LA River acted as a flood control channel until January 1st of this year, getting a new use as a navigable waterway, meaning the county has to make it accessible to the public. New public events along the river have already begun, like bike-in movie nights. 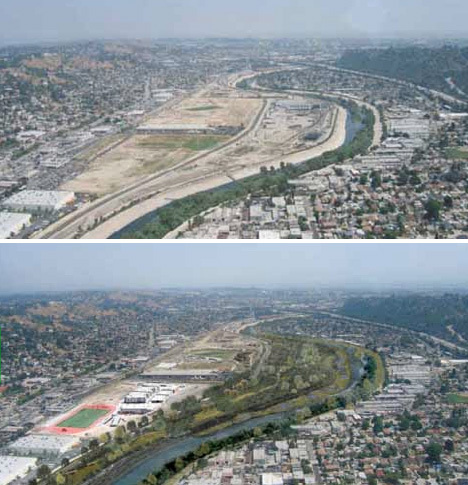 Aside from the obvious positives for residents of Los Angeles, the $1 billion transformation is expected to bring in over $5 million over the next 10 to 15 years alone, and generate tens of thousands of jobs.